It is straight forward to place an order with Get a Plan. Select the format of map you would like. 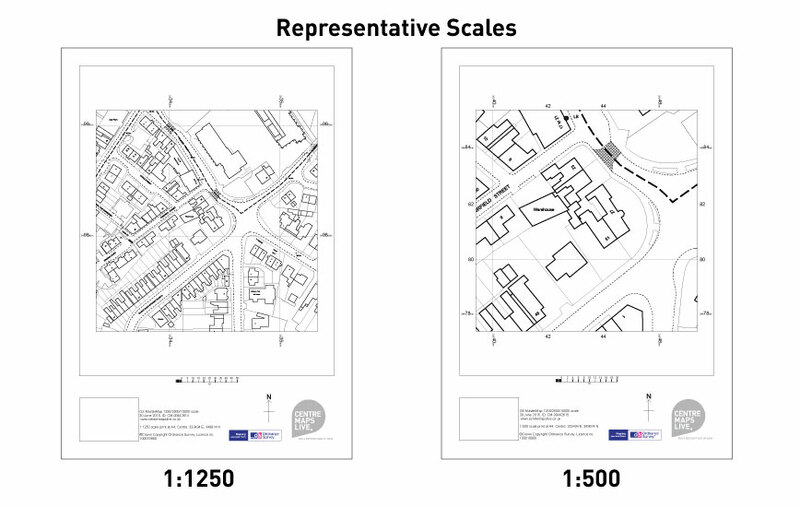 Select the scale of map you would like, for PDF and Posted orders. Select the size of area for DXF/DWG. Input the address that the map is to be centred on. 6 paper copies sent in the post via Royal Mail First Class. Purchase here. A PDF file emailed to an email address of your choice. Purchase here. DXF/DWG for used with CAD and GIS programmes. Purchase here. What is included on my map? Site Centred Mapping at chosen scale. Ordnance Survey MasterMap’s premier large scale mapping layer with over 425 million features captured from the built and natural landscape of Britain. It is the most detailed mapping available and Ordnance Survey claim that it is never more than 6 months out of date. What is the difference between a site location plan and a block plan? All applications must be accompanied by a site location plan and a block plan. You can buy both of these from our website, either individually or as a planning pack. A site location plan (sometimes called a ‘location plan’) shows the proposed development in relation to its surrounding properties. A block plan (sometimes and confusingly called a ‘site plan’) shows the proposed development in relation to the property boundary. Note: If you are not sure whether your plans are suitable or require further assistance you should contact your local planning authority for advice. What size area will my map cover? Maps are normally produced and sent out the same day of ordering. For posted option, the maps will be sent out the day of ordering (before 15.00) via First Class Royal Mail. Note: Any Orders placed after 15.15 may be sent out the day after ordering.